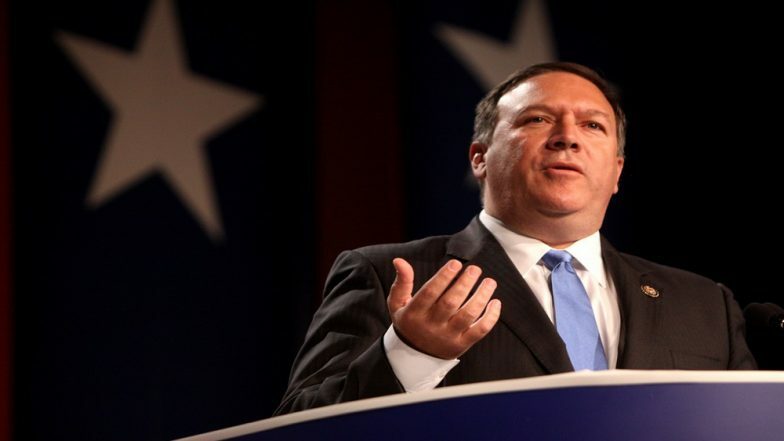 Toronto, March 28: US Secretary of State Mike Pompeo has conveyed to Pakistan that it must "deliver outcomes" to build confidence and trust between the two countries, the US State Department has revealed. US State Department Deputy Spokesperson Robert Palladino spoke about Pompeo’s message to Islamabad when asked about the US Secretary of State’s recent remarks in which he spoke about nuclear proliferation as one of the top national security concerns for the U.S. "Nuclear proliferation is one of the very first national security concerns articulated in our national security strategy. It's at the very top of the list,” Palladino told reporters on Tuesday at his biweekly news conference. "So that absolutely remains something that this administration thinks about often because the level of impact of what could happen is simply so great. So that remains at the very top of our national security considerations," Palladino said. Pakistan has been accused of helping countries like North Korea and Iran gain nuclear weapons technology. Responding to another question, he said: "Pakistan could play an important role in bringing about a negotiated settlement in Afghanistan, this is something that we’re thankful for." The statement comes a day after Pakistan and EU talks have reportedly led to the opening up a new front of talks between the Taliban and the Afghan government.